If you’re going to splurge on a sweet frozen treat, which is your best option: sorbet, ice cream, frozen yogurt or gelato? And what are the differences anyway? Let’s break it down and end the battle of which frozen treat is healthiest, shall we? 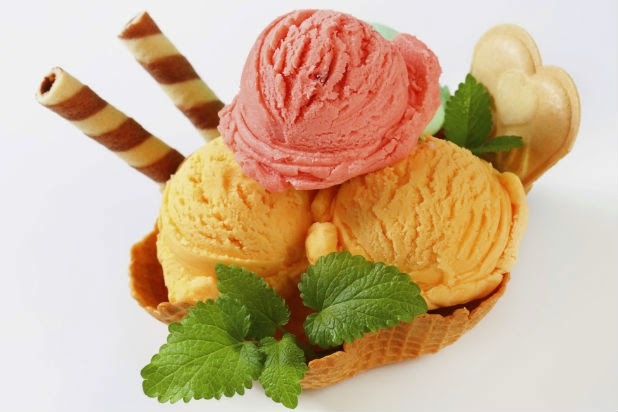 Sorbet is made up of fruit juices, syrup and water. One cup of an all-fruit sorbet has 184 calories, 34 grams of sugar, 46.2 grams of carbohydrates and no fat. While no fat is good, sorbet is high in sugar and doesn’t have any calcium, like milk-based frozen treats do. Ice cream is made from milk, cream, sugar and egg yolk. One cup of vanilla ice cream, on average, has 267 calories, 32.5 grams of carbohydrates and 14.3 grams of fat. That mixture of cream and sugar makes this treat high in calories and fat. To put things in perspective, the American Heart Association recommends that total fat intake should be no more than 25% to 35% of one’s daily calories. Saturated fat should be limited to less than 7% of daily calories, and trans fat should be less than 1%. Gelato consists of milk, egg yolk and sugar. 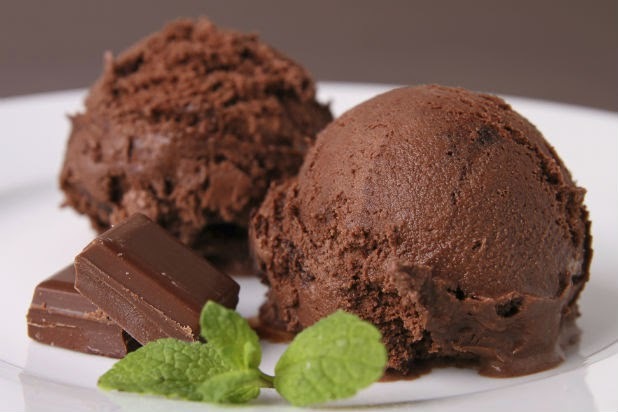 The lack of cream that is in ice cream means that gelato can have less bad fats. However, what it lacks in fats, it makes up for in added sugar. 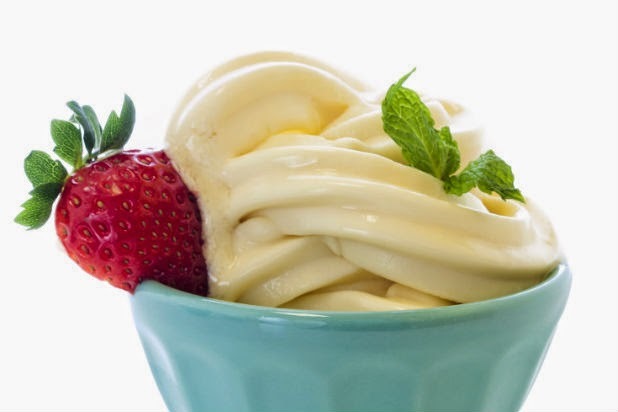 A half cup of vanilla bean gelato, which is the recommended serving size for the treat, contains 204 calories, 9 grams of fat, 25 grams of carbohydrates and 25 grams of sugar. Frozen yogurt consists of yogurt instead of cream, which lowers its fat when compared to ice cream. While frozen yogurt is low in fat, the calories and sugar can be a problem. One cup of low-fat plain frozen yogurt is 214 calories, 2.9 grams of fat, 38.1 grams of sugar and 39.2 grams of carbohydrates. 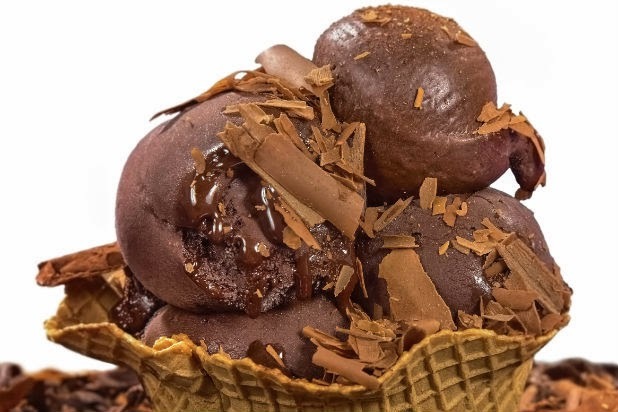 A cup of soft-serve fro-yo yields 235 calories and one cup of chocolate is 230 calories. Don’t forget that those calories don’t include toppings, which can range from the healthier, such as fruit, to the not-so-healthy, like cookie dough. Women should consume no more than 6 teaspoons of sugar per day, while men shouldn’t have more than nine. To put that into perspective, a can of soda contains around 8 teaspoons of sugar. Low-calorie, fat-free and offering at least some "good" sugars from the fruit juice, sorbet is a tasty way to cool down in the summer. Just eat in moderation and look out for that sugar!